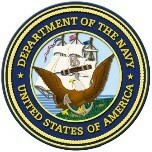 Seaport-e is the Navy’s electronic platform for acquiring support services including Engineering, Financial Management, and Program Management. DWBHCORP team members are working today in support of NAVSEA Headquarters, Naval Warfare Centers, Program Executive Offices (PEOs) and Field Offices, as well as other DoD Agencies. To meet Seapower 21 objectives and to increase efficiency, the NAVSEA Warfare Centers established the Seaport Enhanced (Seaport-e) Multiple Award Contract (MAC) vehicle, using a web-based, e-business procurement Portal, to facilitate performance-based service acquisition, leverage buying power, improve business intelligence and reduce cycle time. In October 2004, the Virtual SYSCOM Commanders formalized an agreement to expand the ordering community of Seaport-e to include all Virtual SYSCOM activities and to leverage the success of SeaPort-e in achieving the aforementioned objectives across the Virtual SYSCOM. Additionally, other activities, including the Military Sealift Command, Strategic Systems Programs, Office of Naval Research, and the United States Marine Corps have chosen to use SeaPort Enhanced. Aerotek provides the DWBHCORP Team a world class recruiting and staffing capability, necessary to accommodate SeaPort-e requirements for outstanding support personnel without any potential for interruption of service. Aerotek is a leading provider of technical and professional recruiting, staffing, and human capital solutions for functions relative to this requirement, including support specifically within the 22 Functional Areas. Aerotek’s industry-focused professional recruiters’ sole responsibility is to recruit and fulfill requisitions. Aerotek’s national presence allows our Team to be truly connected to the local economies to support our customers, wherever the work location is determined. DWBHCORP has worked with Aerotek previously on several requirements - this is a proven team. DWBHCORP has teamed with Aerotek on several related requirements in the past year with Aerotek- an active teaming relationship. Alion Science and Technology delivers advanced engineering, IT and operational solutions to strengthen national security and drive business results. For customers in defense, civilian government and commercial industries, Alion’s engineered solutions support smarter decision-making and enhanced readiness in rapidly-changing environments. Alion is qualified in all seven geographical regions and provides our team notable depth of capability and past performance within Navy. Specifically, Alion has long-demonstrated the capabilities to provide NAVSEA and the Warfare Centers the required level of support now and in the future. DWBHCORP is actively teaming with Alion on other related Navy requirements currently. C4ISR: supporting the mission to provide real-time information to our troops on the battlefield. Acquisition & Logistics: supporting the mission to provide our troops with the best equipment available. National Security: supporting our National Intelligence organizations’ mission to provide the best and most reliable assistance to our nation’s decision-makers. Our DWBHCORP Principal has worked with American Systems for years. The Kenific Group, Inc. (KGI) is a Veteran Owned Small Business (VOSB) based in the Washington, D.C. area. KGI provides solutions to both commercial and government clients in the specialized areas of in Information Technology, Engineering, and Management Consulting Services. Founded in 2011, KGI prides itself on integrity and customer satisfaction, providing innovative solutions based on long-term customer goals. DWBHCORP has teamed with KGI recently on a related large IDIQ and maintained a successful working relationship with the Principal for years. LSInc is a Veteran/Employee-owned Small Business (VOSB) headquartered in the Washington D.C. metro area with field locations worldwide. LSInc offers expertise in a broad range of management consulting, logistics and supply chain management, and professional services among other functional areas. They have successfully supported many SeaPort customers over the past years, including SeaPort-e awards for customers such as NAVSEA, NAVSUP, NSLC, NCW/MESF, and others. Sayres and Associates Corporation (Sayres) is a dynamic, Native American-owned, Service Disabled Veteran Owned Small Business (SDVOSB) that has been providing excellence in service to the Federal Government since 2001. They offer a broad spectrum of security, management, technical and engineering services including Program Administration, Policy Analysis, Counterintelligence Cyber Security, Acquisition Management, Acquisition Logistics, Integrated Product Support, Production Management, Business Financial Management, Systems Engineering, Systems Integration, and System Test and Evaluation. Sayres is headquartered in Washington, DC with offices throughout the United States. Their success can be attributed first to a proven track record of performance excellence based on a customer-focused approach to services. DWBHCORP is currently teamed with Sayres on another large IDIQ. VISTA is a Veteran Owned Small Business (VOSB) that has specialized in a broad range of Information Technology (IT) and related services support since 1983. VISTA’s IT capabilities are demonstrated as highlighted by one of their prime contracts, related to the SeaPort-e functional requirements: the U.S. Army’s Stationing and Installation Plan (ASIP). The ASIP project requires services support to provide the extraction, transformation and loading of over 20 corporate data sources into an enterprise data integration environment for the U.S. Army. This data is presented to over 2,000 users world-wide via web application. This is exactly the IT management and services support expertise required to provide SeaPort-e customers with some functional diversity, leveraging VISTA’s success with other Agencies. DWBHCORP currently works with VISTA. VSE Corporation was established in 1959 with a mission to provide engineering and technical support services to reduce the cost and improve the reliability of DoD systems and equipment. Originally incorporated as Value Engineering Company, VSE has evolved to serve our customer's asset, systems improvement, and sustainment needs. VSE has three wholly-owned subsidiaries: Energetics Incorporated, Akimeka LLC, and Wheeler Bros., Inc. Today, VSE is a broadly diversified company focused on creating, sustaining, and improving the systems, equipment, and processes of our customers through core competencies in supply chain management, legacy systems sustainment, maintenance, repair, and overhaul (MRO), obsolescence management, prototyping, reverse engineering, technology insertion, foreign military sales, management consulting, and process improvement. DWBHCORP is currently on a VSE team as a subcontractor for a large IDIQ currently, and DWBHCORP Principal has worked with VSE for many years – another proven teaming relationship. DWBHCORP and our team offers significant depth of personnel with the requisite qualifications to support all 22 of the SeaPort-e functional Services Areas. Quality Control, with a focus on measurement and achievement of results and deliverables, is an important element of our Quality Management Plan (QMP). However, Quality Assurance (QA) is the foundation of this plan, by establishing and following processes that preclude, mitigate, or eliminate issues before they are realized. As part of our management approach, we maintain and assess processes that enable this performance-based approach to task accomplishment. This is key to integrating professional support that realize cost savings, control work, maximize quality and guarantee responsiveness and customer satisfaction – all SeaPort-e performance objectives. We ascribe to the eight principles of ISO 9001:2008, and this, along with our compliance with PMI Project Management processes provide the structural process discipline to ensure that all SeaPort requirements, deliverables, and customer expectations are exceeded. Quality Management, specifically attributable to customer satisfaction, will be always be a team priority that is clearly identifiable in our management approach. Quantitative assurance that our support meets or exceeds all established performance standards found in the PWS of the requirement. This includes adherence to a Quality Assurance Surveillance Plan (QASP), frequent visits with the customer(s), random inspections and the conduct of customer satisfaction surveys. Submission of deliverables and fulfillment of all requirements involves the checks and balances of all appropriate staff in quality management and performance monitoring functions. Thorough cost and project-controls on all support, particularly on subcontracted labor, as outlined above in accordance with our Project Management principals. Implementation of systemic process improvements as both risks and opportunities are identified; and includes Risk Management by applying deficiency identification, tracking, and correction processes as required. A robust, valid customer feedback program- one that we take action on. Our Principal is directly responsible for Quality Management and he will be providing QA oversight on all Task Order work accomplished under SeaPort-e. We use six standard tools to verify the quality of our deliverables and services. They include: QC review checklists; standard templates; Customer-specific QC training; QC reviews of work products; process audits; and satisfaction surveys. Our consistent use of these tools enables our staff to identify, prevent, and ensure non-recurrence of any defect in product or service. Bottom line: Our Quality Assurance Plan will ensure outstanding on site performance, customer satisfaction, and specifically, on time and quality deliverables.